Looking for a safe alternative to traditional trick-or-treating? 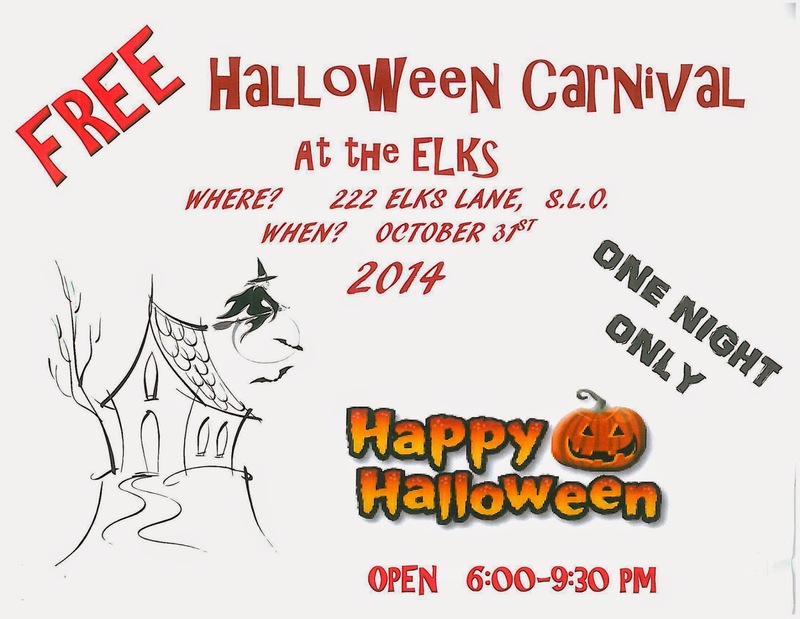 Go to the Elks halloween Carnival at the Elks Lodge in San Luis Obispo! One night only, October 31, 6-9:30 PM. Best of all, it's FREE! Come on down to our own downtown Farmer's Market on Thursday, October 30, for Downtown Trick-or-Treat! Safe and fun trick-or-treating in participating downtown businesses from 5:00-8:00 PM. 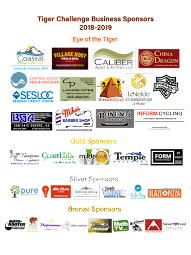 Costume prizes, pumpkins on parade and much more! Click here for more information. 8 am this Wednesday, October 8. Walk from home or... Park-and-Walk beginning at the Vets Hall. The team consists of our walking school bus 'driver' Principal McMillen, parent volunteers (all welcome), plus six Cal Poly students who are looking forward to modeling healthy, active ways for kids to commute to school. Kimberley opened the meeting by mentioning that the current board needs reconfiguring in order to be in compliance with our current bylaws. We will explore options and resolve this at the November meeting. She also mentioned that Kate Stevens (Teach mom) is now Public Relations Chair. Kate will write a letter thanking key players for their involvement in helping Teach be Teach in its new location and will work on building relationships with SLOCA, the neighborhood, etc. The minutes from the 9-5-14 meeting were reviewed, amended, approved. Kurt moved to accept the minutes as amended, Kimberley seconded the motion which passed with all in favor, none opposed or abstaining. Brian then gave the Treasurer’s report (see attached); he said that we should have budget vs. actuals at the Nov. meeting. Brian touched on parent participation for pledges; see attached information from Brian. There was discussion of possible email to the entire Teach community ahead of the October 10th pledge deadline, as a reminder for parents who have not yet returned their pledge forms indicating if they need support, scholarship, etc.) There was discussion of having additional pledge forms at various events such as the Chili Cook-off. Brian said that he is working with the accountant to determine whether or not donations can be tax deductible. Melinda (who is the Assemblies Rep as well as co-VP) spoke about the variety of events she has identified for assemblies; she will email her list of upcoming assemblies to the board. In concert with Mr. McMillen, she has scheduled about one per month, the 3rd Thursday of each month. Chili cook-off: Nara needs items on loan from parents as this evening event will be held outside along the front of the classrooms. She circulated a list that included: outdoor lights, folding tables, extension cords, power strips. There was discussion of need for a parking attendant (with balloon—Vanessa will provide) in our lot and in the SLOCA lot which we may use. Suzanne Mulay and family have said that they will graciously donate their Crystal Springs water for Boosters events. Discussion returned to how to tactfully remind parents about returning their pledge forms, making sure to communicate in a way that acknowledges that some parents may not be in a position to make the donation suggested on the form. The information should make sure that parents know that the Boosters want all families to communicate their needs (scholarships, etc.) regardless of their ability to make the recommended donation. Vanessa will place a scrip order as thank you gift cards for some of the folks that helped with the Pancake Breakfast at the Elks Club. Shade: Jim Schimmer and Mr. McMillen are working on long term shade solutions. Janet forwarded a request for umbrellas totaling about $500. Brian said we have a general assistance category that this could come out of; those present were positively disposed to authorize those funds. Mike will go ahead and purchase the umbrellas and submit the receipt for reimbursement. Vanessa passed out a copy of a letter (see attached) from a local neighborhood action group detailing their stance on potential impacts on the surrounding neighborhoods of construction of freshman dormitories on Cal Poly property. Chipotle fundraiser on Oct 14, Madonna Road Chipotle: Mike said that there is a 50% return rate on the money generated. He said another way to contribute to Teach is for people to sign up for Amazon Smile, which will give 5% of each purchase to Teach. Kimberley has just become aware that October 8th is international walk to school day. 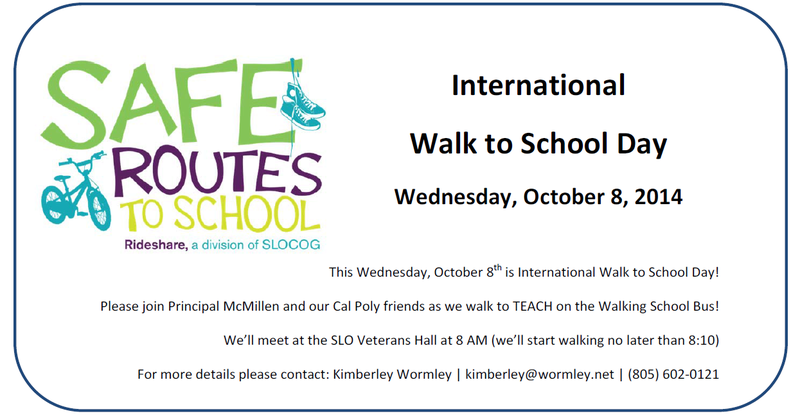 There is support from SLO Regional Rideshare and Cal Poly STRIDE, and the plan is to meet at the Vets Hall at 8 am and walk together. CeRae (4th grade rep) reported that Mr. Crabb thinks that the holiday Big Brothers/Big Sisters event which was done in conjunction with Bishops Peak would be a great thing for the Boosters to be involved with. In discussion, the idea came up to perhaps do this in conjunction with SLOCA. A chairperson needs to be identified for this event. Kimberley mentioned that there are now staff liaisons for many school-wide events (see attached). Laura will ask Sunshine to post these. Kurt will coordinate with International Day Chairs (Nara Clark, Eva Garcia-Gonzalez, and Pia Laurie) to inform parents about both International Day and Electives and encourage parents to volunteer for these events. Laura moved to adjourn the meeting; Kurt seconded the motion with all present in favor. We are not doing this, this year, right? Chili Cookoff is Comin' Up! !